My dad was cleaning his attic, and found one of his old photo cameras. He gave it to me to tinker with it. So I started to research the little old Praktica a little bit. He bought the camera around 1971. Well, the first one anyway. 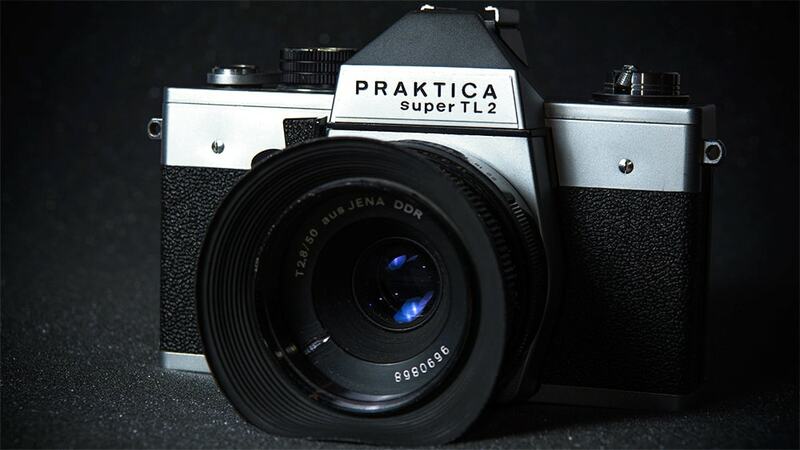 Praktica is a brand of camera manufactured by Pentacon in Dresden in Eastern Germany, formerly within the GDR prior to German reunification in 1990. Pentacon is the modern-day successor to Dresden camera firms such as Zeiss Ikon; for many years Dresden was the world's largest producer of cameras. 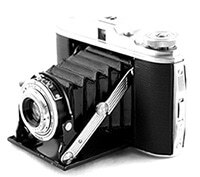 One of the first inventions of the firm, which is still known today, was the roll film SLR camera in 1936. In the Eastern bloc countries, the firm's products were more known than in the western world. This specific camera, the Super TL, was especially handy at the time, as it allowed metering of light through the lens. So no more tables and guesstimation, just try to get the dials to line up. Praktica was also one of the cheaper brands of the day. 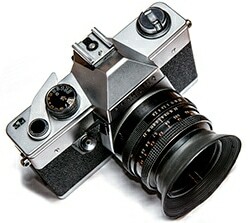 Call it soviet style mass production, at least it made the Single lens reflex camera affordable for regular consumers. Mechanically this meant the camera wasn’t up to the standards of Nikon and the other big names. This probably explains why my dad owned three other broken Praktica’s. So how did he start photography? My dad was an enthusiastic amateur-photographer. I can vividly remember his bellows-camera. I think it was an Agfa Isolette. When you pressed a button, a hatch opened and the lens slid out. He used it to create black and white photographs. For quite a long while he actually developed his own rolls of film, and had a little darkroom at home for this purpose. Sometimes he created colour pictures as well. Not with special film though. He used ecoline ink to colour them by hand. I used a his camera for a while. But it was a lot harder than photography nowadays. There was no way of measuring the light in the camera. So I used a separate light meter to calculate my exposures. After some time I switched to the Praktica. Jelke kept using various Praktica’s until the nineties, adding to a vast collection of slides and other pictures. I recently started digitising them. Have a look at the growing collection on flickr here. When unearthing the most recent Praktica, I decided to give it a shot. We went out and bought a battery and rolls of film. I spend an afternoon getting used to the manual settings, but after 20 shots the shutter mechanism collapsed. It’s always nice to discover old technology, and play around with it. Photography has come a long way since the sixties! In the future I will try to make a videoblog as we try to get the old slide projector up and running again.